Actually both dogs and cats do not want to keep moving house if they can choose because the cat is not always able to adapt well with the changes. Anxiety, characteristic of stress and nervous cats that occur when moving house can later change the behavior of a cat like happy hiding, trying to run away and throw dirt or urine in the house because he was afraid. For that if you intend to move home and bring your cat, you should do everything you can to reduce the cat's anxiety before moving, during the process of moving to finally enter the new house. For additional information, this time we will give some tips to bring home moving cat that you should know and apply to your pet cat. Although everything you've done to prevent the cat runs away, but still the risk can happen when the process of moving house. For that, a complete identity will be so important that others who find your cat can directly return it to you. Be sure to place an identity necklace on your cat complete with your mobile number. If your cat does not have a microchip, then you can take it to the vet to install the microchip that will be put under the skin. This is useful if someone finds your cat it will be immediately taken to the vet to scan the microchip. 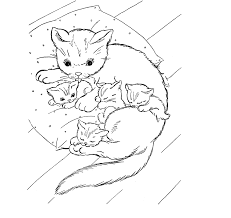 Prepare also the missing cat fliers where there are already photos, feature traits, veterinary addresses and also your contacts that will be instantly spread when your cat disappears. In addition to how to cope with cat sprains, you must also bring the cat to the vet. Make sure also if your cat has got the vaccine and the most recent parasitic controller. This is also important because in the process of moving the house will make your cat stress so it must be ensured the cat in good health. Also ask for your cat's medical record which is very important when you have to change vets after moving. This medical record is useful to help a new vet when examining your cat. Consult about drugs to overcome anxiety with the use that depends on the nature of your cat because the cat will probably need this medicine to reduce anxiety when moving house. If you are going to move out of town with a cat, then you will probably spend the night resting. For that, look for hotels or inns that would accept a cat as well as friendly to animals even though the price is somewhat more expensive. If you are staying, then make sure the room is safe and comfortable before removing the cat from cargo to avoid the sign of a depressed cat. An unfamiliar room can make your cat find hiding or crawling under the bed and chairs. It would be better if you confine the cat first in the bathroom while you prepare the room and this also you can practice when moving house and leave also cat cargo in the bathroom. Make sure the cat is comfortable with his cargo a few weeks before you move home. For the type of cargo can be selected hard or soft. For hard cargo is fairly firm but you need a soft cargo if you want to move on a plane. Make the cargo look attractive to the cat by letting the door open and put the bed and cat food inside. Teach the cat to spend a lot of time in the cargo by feeding him. Put also blankets on the cargo so that it can be a safe hiding place and very important when the time to move has come. Give the gift cat a snack every time he enters the cargo to build a positive association with the cargo. Bring the cat walking the road with the cargo and put in the car but do not turn on first. If the cat remains calm when the machine is still dead, then take the cat drive for a while and then add the duration and reward for your cat which is also good done as a way to care for cats to spoiled. Make your cat feel comfortable with the pile of cardboard that will be used to move. 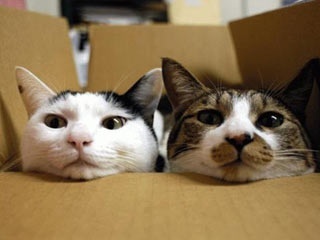 A stack of cardboard boxes might make a cat move, so be sure to put some empty cartons for the toys and give the cat time to get used to a few weeks before moving home and also as a way to tame the cowardly cats when they move. If the cat looks scared or anxious with cardboard, then spray the cat pheromones you can buy at the pet store for the corner of the box. The smell of this pheromone will help the cat to check every pile of cardboard. By giving the cat time to check the box, it will get used to and reduce the level of anxiety when moving. When you start busy packing and preparing everything into the box, then your time will be much consumed. But even if your schedule changes, make sure you keep giving a consistent routine for your cat. This is very helpful for reducing anxiety such as being able to feed the cat on time, inviting the cat to play with the same time every day and so on. If the cat looks anxious though consistent remains the same and even happens cause the cat does not want to eat, then play longer with your cat. When the time comes to move, there will be a lot of people coming in and out the door, making the cat feel anxious. For that, enter your cat in a separate room and closed to protect the cat from busyness when moving can also be done as a way to relieve stress on cats anggora. Add also a bowl of food, drink, sandbox, toys and also a bed in the room to add to the comfort of the cat. Put the cat into the room before the moving process begins. After the cat feels comfortable in the room, then put a sign on the door so people do not open it. Bathroom is a good choice to put a cat because there is no passing there. When the day will move, the cat will most likely feel anxious and cause the cat will not eat. If this is the case, then you should give the cat food in small amounts at the same meal time so as not to make the cat's stomach become sick. You can enter a cat while still in the hiding room or when you will carry it by car. Make sure the cargo door is closed until you get to the new house. Although you want to occasionally open the cargo to calm the cat, but the anxiety and fear of the cat will only make it vague so you should not do. After arriving at the new house, prepare a hiding space for your cat. This should be done before you start putting new items into the house. Make sure to prepare the room just like the old house and place also a scratch pole in the room as tips for the cat at home. Open the cargo door and spread the cat dry food around the room to help the cat get out and explore the room. After the move is over, keep your cat in the hiding room for a few days because it may take longer to be comfortable and adaptable to the new house. Expand also spend time with the cat in the room like playing and also other quiet activities such as reading to accompany your cat. Scatter also scratching poles and toys in many places in the new house that are useful so that the cat does not mark the territory in the new house and how to overcome the fussy cat. Toys and pole scratch this will make it more interested to play with a known object than looking for a new place to scratch. Cats may eat more and more because of anxiety with the new environment though not hungry. But make sure you keep serving the same amount in small quantities but frequently and regularly scheduled to give normal and routine impressions in new homes. Feeding the cat in small amounts but often also means more time spent together so as to reduce the anxiety. Remove the cat from the hideout and give time to explore as a way to cope with stressful cats because moving home because even though it has been a few days, the possibility of anxiety can still happen so that it takes time to feel comfortable by itself. Give a place to hide and sleep like a cat tunnel or area that can be visited. Recommend one by one space gradually. Let the sandbox remain in the hiding space so that it can still be used as a safe space for cats for a while. Do not let your cat get out of the house first because the strange environment for the cat will make it run away. If you really want to remove a cat, then wear a bridle for a cat or buy an outdoor cage that at the same time can protect the cat from other animals. Spread also cat feces around the yard before removing the cat so that he can feel comfortable with his new environment and as a way to make the cat quickly adapt. Make sure there are no dangerous objects for cats such as rat traps, power lines, ensuring all the gaps and windows are closed to prevent harm to your cat. 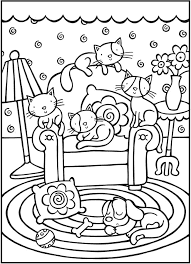 Terima kasih telah membaca artikel tentang 15 Tips on Taking a Moving Cats Home - BluelotusDc di blog Best Coloring Pages For Kids jika anda ingin menyebar luaskan artikel ini di mohon untuk mencantumkan link sebagai Sumbernya, dan bila artikel ini bermanfaat silakan bookmark halaman ini diwebbroswer anda, dengan cara menekan Ctrl + D pada tombol keyboard anda.